I officially started CRP in late 2010 with the goal to create a better, more optimized replacement to the then-obsolete mod that is still built upon today. In the beginning I used Iban's mod as kind of 'handbook' and checklist on what to code which is why this mod in it's infancy was essentially just a better optimized version of Iban's. I first started by creating a clock and daycycle system and hosted a freebuild for a few months in 2011. I would add the minigame, lots, crime, and job system and host a public beta testing server later that year. Yorktown, who was hosting a highly successful server at the time, contacted me about using my mod. He was using a version of Iban's mod heavily modified by Clockturn, Will Smith, and Yorktown himself but the amount of bugs in the mod started heavily impacting the server experience. The first official CRP server opened in March 2012 and was a huge success, dominating the server list for about a month. About a month after the first Yorktown server closed we began construction on a new city, however this was mostly unsuccessfull due to lack of help. I was approached by Wink and Furdle who had volunteered to contribute some builds to the city. Yorktown wasn't all that interested in hosting a new server at the time and it just so happened that Wink and Furdle had finished construction on another city... all they needed was a mod to host with. Yola (who turned out to be JazZ later on) had volunteered his own mod but could not deliver to Wink after many delays. Rather than keep waiting on Yola's mystery mod I convinced Wink to use my mod instead and we opened the server July 4th weekend. Me and my family would eventually leave the following day on a vacation to our cabin at the Lake of the Ozarks without any cellphone or internet, this would become problematic as the server was crashing and pickpockets weren't getting enough demerits. Due to a miscommunication Wink thought I would be gone for 2 weeks and attempted to edit the mod himself. Furdle would get his Admin status revoked even though I was being almost as abusive as him. Wink added a poll to the server topic to decide who would get banned, me or Furdle, because both of us were constantly creating issues for him. Furdle won the poll and was swiftly banned and started threatening to release the mod unless he was unbanned. Furdle earlier obtained the mod by offering to fix the bounty script while I was on vacation. He then sent me the bounty.cs file which happened to be the exact same filesize as mine, I didn't think anything of it at the time as I thought Wink just sent him the bounty file. I made the controversial decision of unbanning him from the server where he would spraypaint and hammer a bunch of bricks on the server. He asked for admin and I decided enough was enough so I banned him. He then bought an alt to play on the server anonymously and created an account on the forums so that he could blackmail me there. His account was quickly banned and after only a week and a half of the server being up Wink decided to pull the plug because of the amount of drama and stress surrounding it. The server was still averaging 30 players when it was shut down. Sometime around August 2012 Furdle approached me with a finished city and needed a mod. I agreed to let him use my mod with his city so long as I was the host. The server opened August 11, 2012, just 2 days after the Shadows and Shaders update was released and is the only CRP server to not have a daycycle. The server ran for a week, took a week hiatus, and was hosted for another 2 weeks after the hiatus. The server was mostly fine aside from accusations of Furdle abusing as well as Pload and his friends trying to ruin the server for everybody. 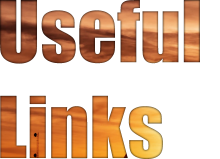 In early 2013 I took it upon myself to host the mod by myself, with no co-host. I had no experience at the time with hosting servers and it showed. The city wasn't thought out and most of the admin team was inexperienced, just builders, or too busy. I was also busy with programs at my Highschool at the time and was not on the server that much. This led the server to decline very quickly and eventually close just 2 weeks later with only around half of the lot spaces taken up. A few months later I would then by contacted by Yorktown to host another 2 servers, the first one in June 2013 and another in April 2014. Both of these servers only lasted approximately 2 weeks each, mainly because of minimal changes to the mod on my part. Throughout the years I've been using the mod to increase my skill set and to eventually move on to other projects. Since the early versions of the mod were heavily based on the Iban mod that everybody's been using since 2009 this made it increasingly difficult to make drastic changes to the mod between servers. With 4 years of hiatus and nearly 90% of the original code changed, I have finally been able to add features that matter. For history about Iban's CityRPG mod, this topic covers that. Managing the massive amounts of data for the systems below is the primary reason this took so long. Luckily now that so much of the backend is in place this makes it much easier to add new features. Trade and Commerce - Instead of seemingly all resources coming from the city out of nowhere, all vehicles, items, and special bricks are manufactured and sold by businesses. These items, vehicles, and bricks are made using lumber and ore bought off of the marketplace which is sold by the lumberjacks and miners. 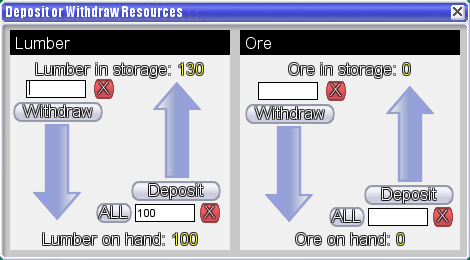 Resources also take a lot longer to respawn and regenerate. Taxes from all sales are sent to the city for future expansion, business grants, law enforcement as decided by the incumbent mayor. In this system money is neither created or destroyed and can lead to economic influxes and slumps. Theoretically there should be the exact same amount of money in everybody's accounts at the end of a server that there is at the beginning server. Companies - Job creation is now in the hands of the people. Anybody can start a company and start working, however the viability of that business depends on how much work you or your employees put in. Whether or not your employees get a paycheck is dependent on how many sales they've made, money they've stolen, criminals they've arrested, etc. 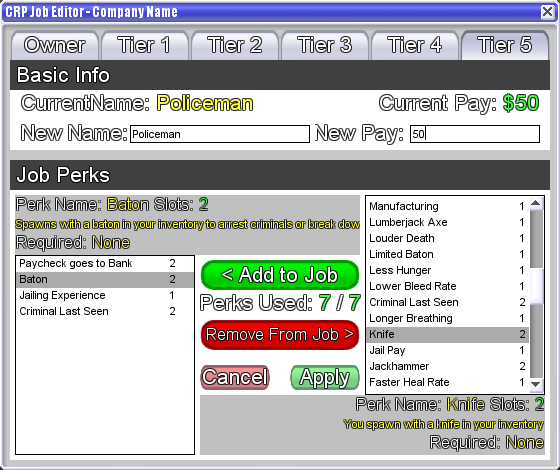 There are multiple tiers of jobs per company with varying numbers of perks, how these perks are distributed and what player is assigned which job is entirely up to the company owner. The company owner can also set conditions under which an employee is automatically fired. There are also publicly owned companies that are set up to run mostly autonomously. Manufacturing - Creating an item or vehicle from scratch is something that anybody can do, all you need is an industrial lot, a factory brick, an employee with the manufacturing perk, enough lumber, ore, and time. 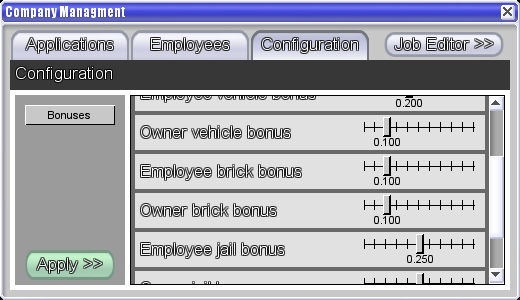 Company owners can create 'contracts' with independent laborers to get resources at a discount and individually control the price of each and every item. Manufacturing is also set up so that the company owner can set quotas for manufacturing, allowing the employees to work as much as they want while the boss is away. Don't leave the server for too long or your competitors might pull ahead of you! Crime and Punishment - Criminals are going to need to get a little more clever if they want to get away with crimes. If a player has a cellphone they can report crimes on the spot and their location will be shared to law enforcement. If they don't have a cellphone they will need to report the crime at the nearest police station. Cameras also act as witnesses so be careful about where you commit your crimes! If there aren't any witnesses evidence will be dropped which can be collected and reported by civilians or collected by law enforcement, giving you instant demerits. I am always open to suggestions, feel welcome to post your suggestions here or send them to me privately. Self Defense - No longer do you have to wait for somebody to become wanted for you to take action. If somebody attacks you, pickpockets you, or breaks into your home you have the right to defend yourself. Seamless day to night transition - Custom daycycles for both clear and rainy weather types are synchronized to the in-game clock. Custom events for turning lights on on daybreak and sunset are triggered gradually instead of all at once allowing for a lag free and seamless transition from day to night. Lot zoning - CRP includes 4 lot types: admin, residential, commercial, and industrial. Residential lots are basic lots that allow the owner to create buildzones for people to build in without needing trust. Commercial lots allow for the use of transaction events and the planting of ATM's an vehicle spawns. Commercial lots are also used for company headquarters to place company spawns and other company bricks. Industrial lots are the only lots where weapons, bricks, ammo, and vehicles can be manufactured if the people in the lot have the ability to. Storage bricks - Don't want to run to the bank to make a deposit? Place your cash, lumber, ore, or items in a safe for later. Want to really protect your investments or yourself? New in CRP2 is a vault brick with a full interior that can store infinite money and resources. Experience - Instead of waiting around doing nothing to move to a higher ranked position you move up in rank by doing your job. High performance - CRP2, other mods, doesn't cause exponential CPU usage the more players you have on a server. CRP has been proven lag-free with over 40 players playing at a time. Navigation - The compass included in the client allows users to create waypoints at their favorite places to find them later. You can also scan for terminals and get waypoints from events. 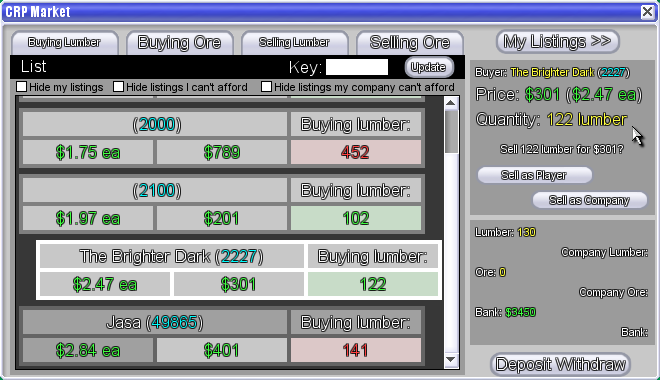 Interface - Browse companies, items, and vehicles all from a series of windows. 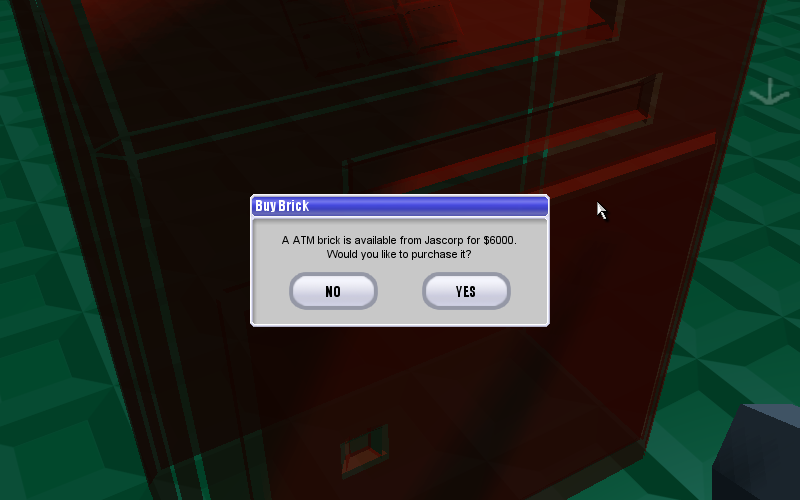 Interact with banks and ATM's through a GUI or use the chat commands through an option. always loved crp, cant wait! What are some other responsibilities the mayor should have besides adjusting tax rates and criminal fines? Change duration of imprisonment for certain crimes? There has to be minimum and maximum limits to prevent abuse and the police force could vote on it. how do you plan to implement these features through mod programming? 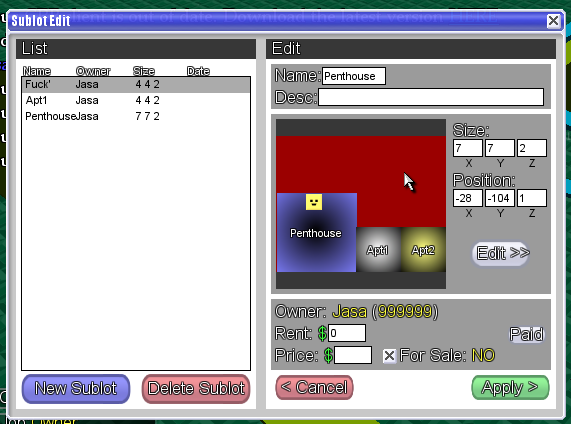 Through a stuff-ton of GUI's and databases. The company GUI has a lot of preferences to lay off or demote players depending on when they last did their job. 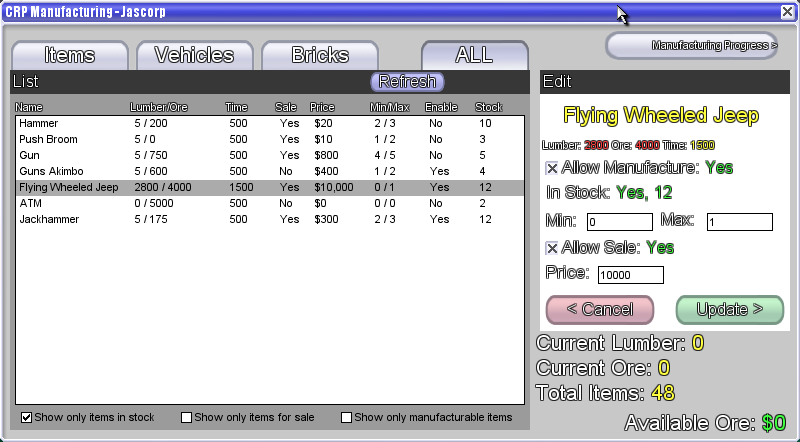 The manufacturing GUI is basically just a spreadsheet with a list of every manufacturable item and their inventory, quotas, and required resources. I'll post pics of the GUI's soon and it'll make more sense. The crime system checks for witnesses whenever a crime is committed. If a player witnesses a crime or discovers evidence they can report it at the police station or through their cellphone (if purchased). If a policeman witnesses a crime or discovers evidence the criminal will get demerits instantly. Self defense is pretty simple as it just checks if the offending player recently damaged you, stole from you, molested you, etc. and allows you to damage them in return without counting as a crime. Are there any plans on food implementation and what it can do? Although hunger can be annoying, it helps prevent people from going AFK for too long, and additionally, it makes people build some really nice food places. Question, when it says you can defend yourself, does that mean with the default hammer? And either way, can you defend yourself after one hit or is it 2 or more? Whenever somebody does 15 or more damage to you, you can kill them with the hammer or any weapon you have on hand without getting demerits.